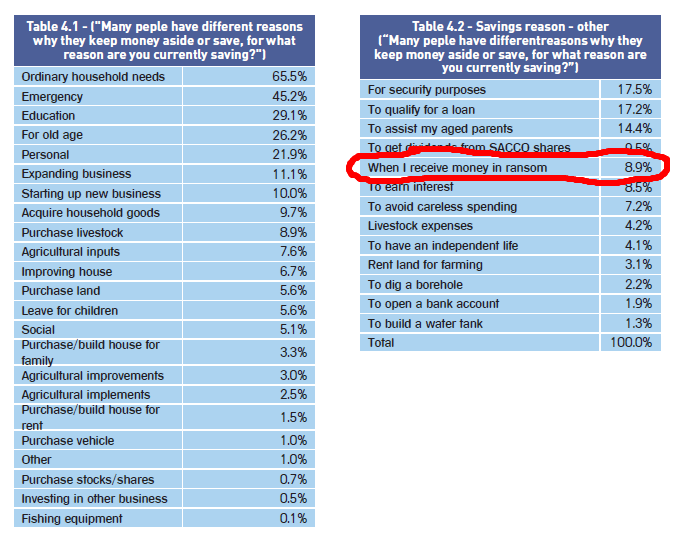 Roving Bandit: Why do Kenyans save? 0.089% of them apparently answered "When I receive money in ransom" to this question, from the 2009 Financial Access survey. Ahem. *cough* 0.089% != 8.9%. Pedantic? Moi?